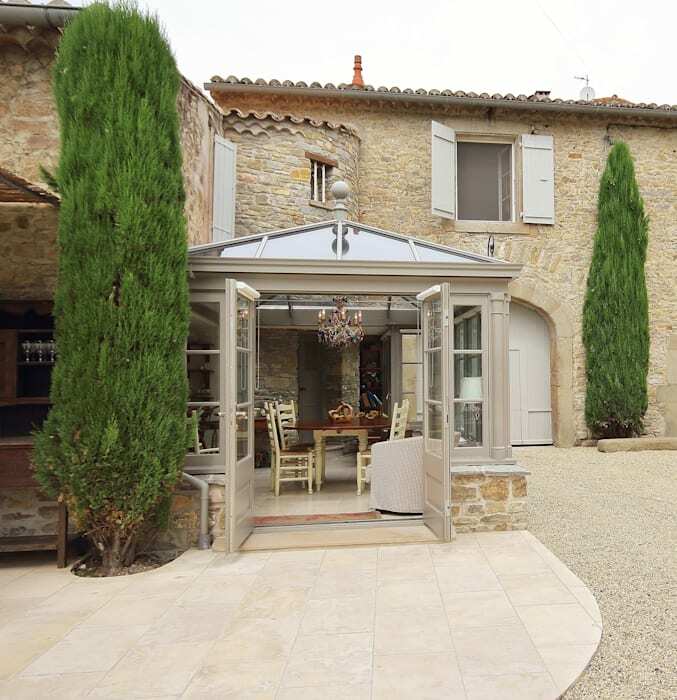 When an existing client wanted to add a conservatory to their holiday home in the South of France, their regular Hampton Design Consultant met them at the property to discuss the needs and preferences of the family. It became clear that whilst their newly refurbished kitchen was spacious and functional, the heavy stone walls and small windows of the traditional French building made it dark and uninviting. Hamptons liaised with the client’s local architect to ensure that all planning and conservation requirements were adhered to and our designers created a classic design that was sympathetic to the beautiful stone chateau, while providing an airy, light-filled dining area that had easy access to the paved courtyard.